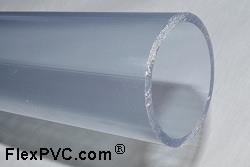 All schedule 80 clear PVC pipe has a line of printing along one side. It's gold and hard to see, but it is there. All clear NSF plastic pipe fits standard Sch 40/80 (plumbing and furniture grade fittings.) The differences are the certification (NSF vs Non-NSF, UV vs Non-UV) and wall thickness. The OD (outside diameter) remains consistent for each size. 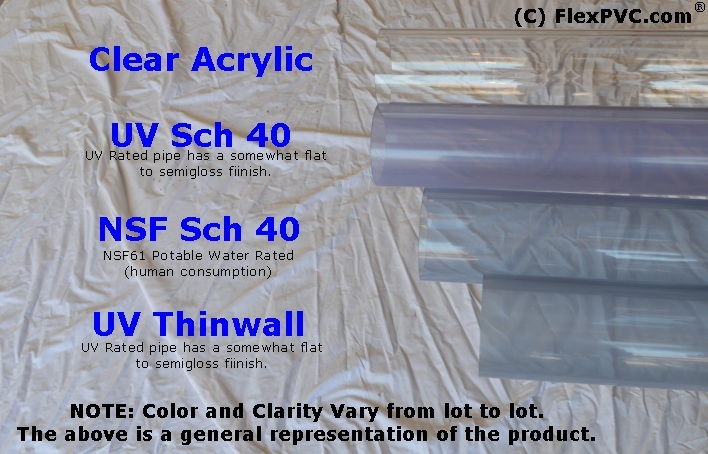 You are here: Sch 80 Clear PVC Pipe NSF rated for potable water by the foot. 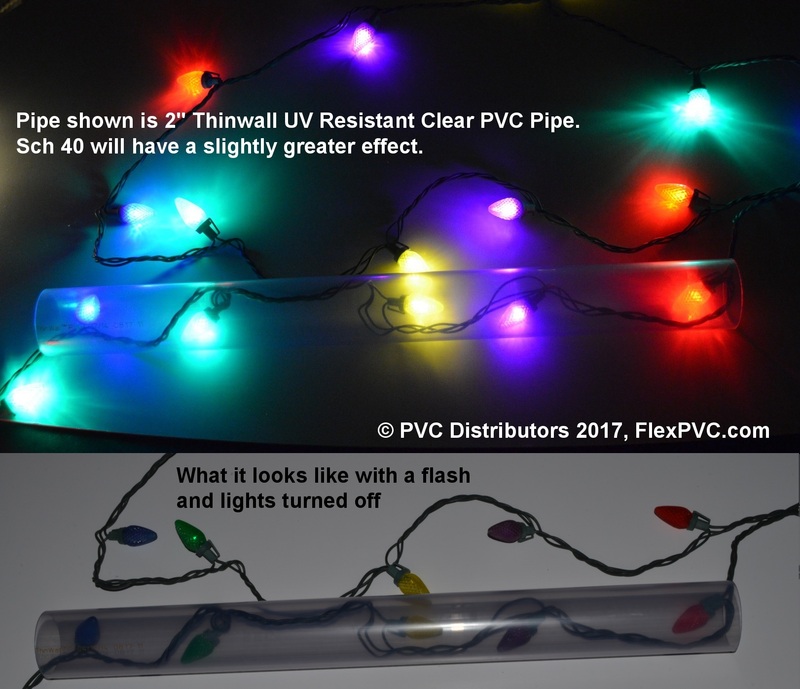 Click here for clear PVC pipe Schedule 40 (NSF rated for potable water) pipe by the foot Click here for For UV Rated Sch 40 (but NOT NSF rated) Clear PVC pipe. Click here for For UV Rated Thinwall PVC Pipe.